Regulatory compliance has become an important corporate initiative as the complexity and scope of the regulatory environment continues to increase. Coupled with the rise in cyber attacks and insider threats, organizations are now searching for a more effective, sustainable, and scalable approach that will achieve their compliance objectives while improving the overall security posture of the organization. 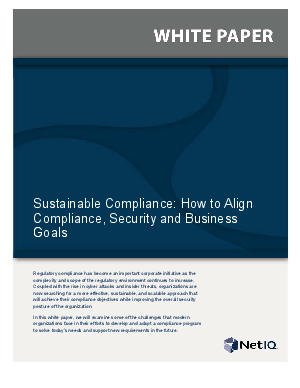 In this white paper, we will examine some of the challenges that modern organizations face in their efforts to develop and adopt a compliance program to solve today’s needs and support new requirements in the future.